Creating the perfect voicemail greeting for your business requires a fair bit of hard work and thought, especially if you haven’t done that sort of thing before. While a lot of people choose to use a professional voicemail creation service, it is actually possible to create one yourself – if you can be bothered. Some basic information that identifies you to your caller. This will give them the confidence the leave a message on your voicemail without worrying about it reaching someone other than you. A list of information that they should leave so that you can get in touch with them as soon as possible. The info you ask for will depend on your business. Your company name and information. Consider leaving a short apology for not being able to take the call. If you want to record a decent voicemail greeting, don’t try and remember it off the top of your head or make it up on the spot. Instead, you should write a short script that you can read from to make sure that you get everything right the first time. Make sure that you read over your script – and read it out loud – to make sure that it has no mistakes and that it includes everything that you want it to. Eliminate background noise where possible to make sure that you aren’t including unnecessary sounds. Make sure that you follow your script closely so that you don’t miss anything, otherwise you will have to re-record it. Make sure that you review your recording before you set it, or there may be mistakes that you don’t pick up. If you aren’t sure that you are going to be able to record the perfect voicemail on your own, then you should consider using a professional voicemail recording service like that offered by OHVO. When you do this, you will be guided through the entire voicemail process – from writing the perfect script to recording your message – and will end up with a professional quality voicemail greeting. When it comes to recording a sublime voicemail message, an engaging video voice over or an on hold message, the first step is writing the script. Although it can be difficult to write an engaging, catchy script which works well for your purpose, a lot of people still do it themselves. Unfortunately, they don’t always get the results they were hoping for because of this. If you have never written a script before, you may have trouble working out exactly what you should be saying and how you should be saying it. This can cause your video, voicemail or on hold message to become boring, to miss crucial information or to be unclear. Professional script writers make a living from writing scripts for different people throughout the world. If you are interested in crafting the best message possible, then you should definitely work with a professional. They know what works, how things work and how to write the perfect script for different uses. If you try and write a script on your own, you may run into little problems that you don’t even know you are running into. The most common of these is the way you write the script. Really, you should be writing it word for word, exactly how it is to be read. However, you will find that you very rarely do this. For example, you may write numbers in their number form, rather than their word form. You may accidentally write acronyms in their abbreviated form rather than their long form. Things like this only serve to confuse the voice actor who is reading your script, and a professional script writer will automatically avoid them. One of the major benefits of using a professional script writer – or at least one who is good at what they do – is that they will be able to change their style and tone according to your needs. If you run an existing website, online business or social media page, then you will want your script to be consistent with the rest of your content. This will make sure that your audience remains familiar with you, feels drawn in to the videos and other visuals that you offer and remains engaged with you content. Although you may be worried about the cost of a professional script writer, you shouldn’t let this put you off. For example, the team at OHVO offers professional phone script writing services for just $45! Get in touch with them today to find out more. As a small business, it is extremely important to have a professional, effective voicemail greeting. Without one, you will be losing potential clients, missing out on business and failing to capitalise on your marketing efforts. Speak slowly, and make sure that you pause as needed. Don’t include too much information, or people will get bored and hang up. Make sure your words are clear and concise. 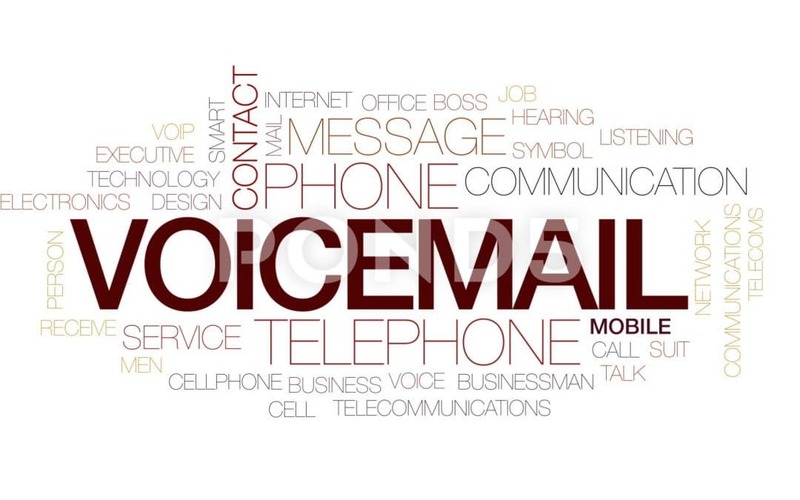 If you do the above, you will be well on the way to creating a perfect business voicemail greeting. If you want someone to leave a voicemail on your answering machine, you need to encourage them by instilling confidence. One of the best ways to do this is to make sure that you identify yourself as soon as a caller reaches your voicemail. Doing this will show them that they have reached your business – rather than a wrong number – and will allow them to comfortably leave a message. Tell people who you are, what you do and, if it’s relevant, what your name is. If you run a business which may require people to get in touch with you at short notice, it could be a good idea to leave some sort of emergency contact details in your voicemail greeting so they will be able to reach you. Consider leaving things like a mobile number of email address where you can be reached quickly. If you are planning on being out of the office for an extended period of time, make sure that you tell your callers this. This will let them know that you aren’t ignoring their voicemails, and will reduce the chance of them taking their business to your competitors. Possibly the most important thing when it comes to crafting a decent business voicemail greeting is crafting the perfect script. Unless you are a decent writer, you should probably leave this to a professional script writer – such as the team at OHVO.